A Natural Solution for your horse! 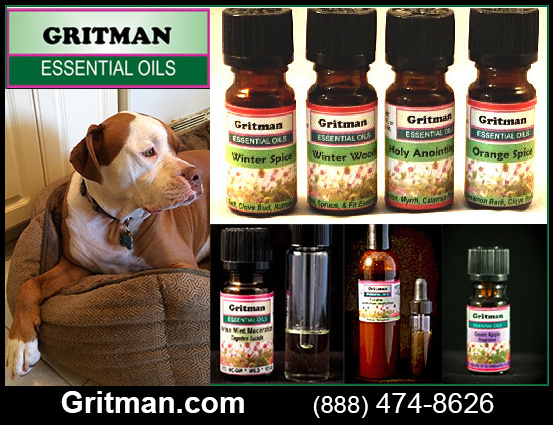 Gritman Essential Oils are located in the greater Houston, Texas area in the town of Friendswood. It was founded in December of 1995 by Nagy (Mike) and Meg Shehad. Meg was a psychotherapist at the time working with essential oils. Milli Austin had come to live with Nagy and Meg so she could finish her book, The Healing Bath. Milli asked Nagy who was an international trader at the time to acquire essential oils for her. The oils came in large quantities. They needed to be put into smaller bottles with droppers. Then a label and Gritman Essential Oils was born. The twenty oils that Milli wanted grew to more than 300 oils that Gritman carries today. Gritman also sells absolutes, macerations and complimentary body care products bringing the number of items closer to 500 products. Nagy passed away and Amy, her daughter, joined Gritman. Later Lou Vaughn with a vast knowledge of technology would join the staff. They are are supported by several volunteers and part-time workers. Gritman prides itself in putting Nature first. It has a half acre organic garden devoted to essential oil plants and natives. Many products are made from this garden. Gritman has a saying that Nature is on its broad of directors. Gritman also offers many classes including certification in Aromatherapy and Spiritual Aromatherapy. How Could Horses and Dogs Benefit From Essential Oils? Gritman provides quality essential oils and products for horses as well as their human counterparts. Here at Gritman we believe that horses are more than flesh. They are also energetic beings with emotions. Essential oils move emotions and many horses benefit from essential oils especially if they are traumatized, stressed, or nervous. Then horses can also have physical issues such as stiffness - pain, breathing problems, and insect/parasite bites. Since horses are large animals, they can require large amounts of products. Gritman has developed techniques to minimize the need for copious amounts of oils. This is called emotional clearing and it is an easy technique to learn. Gritman is a family based business operating a school as well as a manufacturing facility. We are knowledgeable and are available to share our information. We are interested in talking to our customers especially if they need help and understanding. Gritman has been in business for 19 years and is a leader in education and quality products for horses, dogs, and humans. How Do Essential Oils Benefit My Dog? How Are Essential Oils Different Than Fragrances or Oils That I Can Buy In The Store? Essential oils come from plants. Fragrances or synthetics come from the lab. Most fragrances are derived from cool tar which is a by product of the coal industry. Essential oils offer physical healing while fragrances can only offer scent. All scents can affect mood. Fragrances tend to be less expensive and they last or linger for a long time. Some fragrances last so long that they have become dangerous to the ecology. Fragrances do not break down easily and can be found in wild life causing dysfunction. Essential oils easily break down in the environment and are safe to use ecologically. Fragrances can cause allergic reactions in some people. Essential oils when used according to directions are safe to use. Many consumers cannot tell the difference between essential oils and fragrances. Consumers tend to judge quality with their nose. Stronger scented oils tend be judged as better than. Essential oils will not smell as strong as fragrances but be powerful in effecting health and well being. Fragrances tend to come in clear bottles and often have fruity names like strawberry or mango. Essential oils tend to come from herbals or medicinal plants and not fruits and are found in dark bottles to protect the oils. Fragrances need no protection. Essential oils come with a scientific name identifying the plant of origin. Fragrances do not. Essential oils need to be protected from heat. Fragrances do not. Essential oils offer a complexity of components while fragrances do not. Essential oils are based on living products while fragrances are dead. Fragrances are chemicals made in a lab while essential oils are made from living plants. What Conditions In Horses Can Be Helped By Essential Oils? Emotional clearing needs to be done before any form of medical or physical treatment is used. This will increase the effectiveness of the procedure. After the procedure is preformed, the emotional clearing is used once more. If the horse or dog is nervous, use the blend Calming or Lavender essential oil. If the horse or dog is suffering from colic, use Peppermint or Ginger essential oils. For repelling parasites in the grass, use Kunzea in a spray bottle with water or oil around the legs and hoofs. For respiratory or breathing issues, use Gully Gum Eucalyptus. Eucalyptus 80/85 is stronger and can be used but first try the Gully Gum. Diffused or sprayed into the space where the horse is kept. A rub can be applied to the horse's chest with these oils. Mix the oils in Fractionated Coconut Oil and rub into chest. What Conditions Can Essential Oils Treat In My Dog? If the dog is nervous, use the blend Calming or Lavender essential oil. If the dog is suffering from indigestion, use Peppermint or Ginger essential oils. For repelling mosquitoes to prevent heart worms, use Lemon Eucalyptus in a spray bottle with water or oil. This is a natural alternative to heart worm medication but needs to be spray onto the dog before entering the outside world and it must be used every time. For repelling fleas, use Tea Tree and Pennyroyal. Pennyroyal cannot be used on pregnant dogs or can the handler be pregnant. In this case, use Peppermint with Tea Tree in a spray bottle with water or oil. For an animal with a cold, diffuse into its space Eucalyptus Gully Gum, Tea Tree, and/or Rosemary. A rub can be applied to the dog's chest with these oils. Mix the oils in Fractionated Coconut Oil and rub into the chest. For a dog with muscle aches and pains, massage Wintergreen, Peppermint, and/or Lemongrass essential oils in Fractionated Coconut Oil into the effected area. Gritman delights in consulting with customers about any issue concerning their pets. We are happy to give our opinion and to offer guidance. We will also give help to those that are not familiar with essential oils and just need more patience. We can also be on the phone when treating the dog or horse. Our hours are 9-5 Monday through Thursday. Friday 9 to noon. We can be consulted at other times, but appointments need to be made. Call and talk to us today!